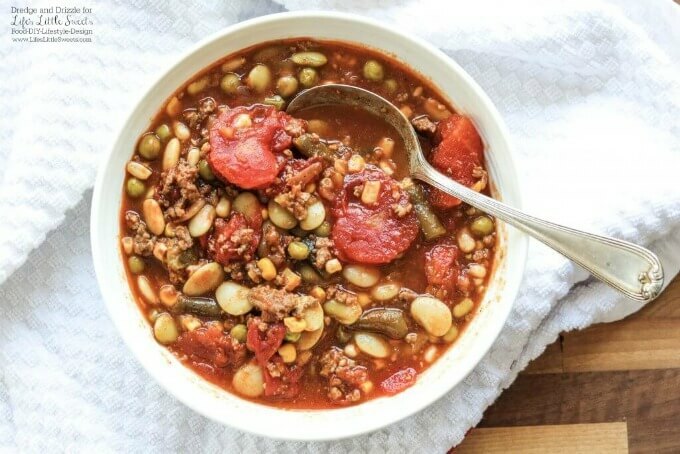 This Hamburger Vegetable Soup is hearty and flavorful and warms you from head to toe. And with so many veggie combinations available, it’s totally customizeable to your tastes! 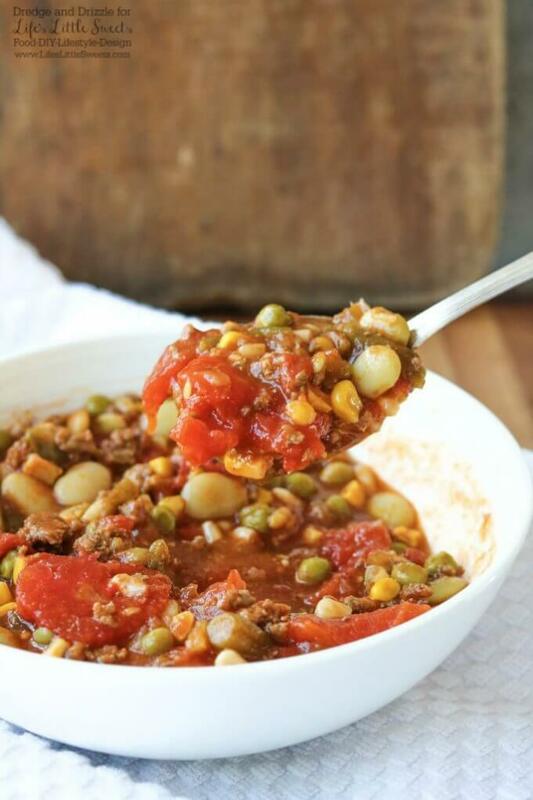 Hamburger Vegetable Soup is another one of those recipes that makes me think of home. As in, my Michigan home of Decatur. My parents have a number of staple soups they like to make. 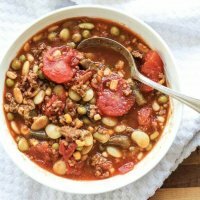 They originally got this Hamburger Vegetable Soup from my aunt. 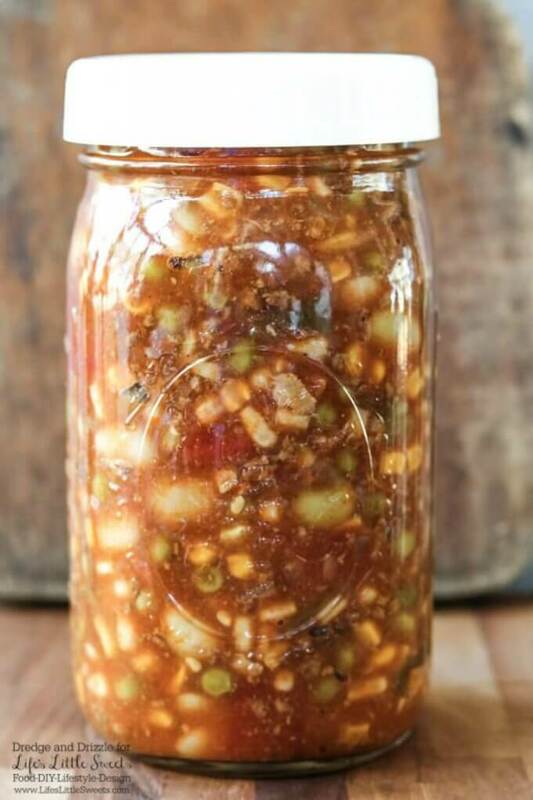 They enjoy it right away, freeze it to enjoy later, give it away to people around town, and sometimes they even make it for the soup suppers that benefit the Human Services food pantry in their small town. But my favorite was when I lived close enough for them to donate some to ME. Now that I’m over 1,000 miles away I gotta make the stuff myself. *sigh* But that’s good news for you because I was able to get it out on the internet for you to try! 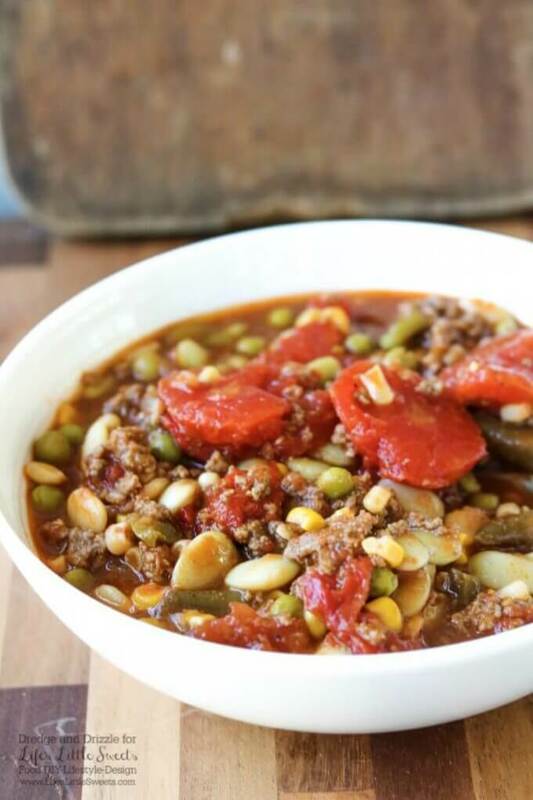 I hope you love this Hamburger Vegetable Soup as much as my family and I do! Come back and let me know what you added to yours! In a dutch oven or large pot, warm the oil on medium heat. Add the onions and garlic and cook until the onions are translucent. Add the ground beef, salt, and pepper and cook until the beef is no longer pink. Simmer for about an hour before serving.